A new baby is the most wonderful accomplishment a couple can make. Commemorating every moment in a child’s life is what good parents strive to do because as hard as we want to keep them little, they grow every day. Although many parents begin documenting their child’s life upon their arrival into this world, the memories can begin even before he or she makes their grand entrance. 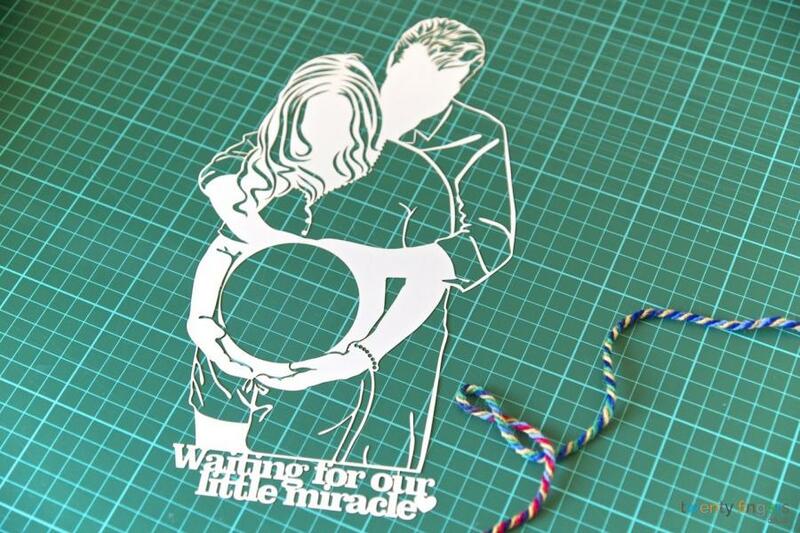 Our Baby Ultrasound Papercut is perfect for anyone looking for an interesting way to keep those ultrasounds forever. As many of us know those little ultrasound images given to us by the nurse are easily damaged and sometimes even lost, so finding a unique way to protect the image is vital to protecting that memory. You simply upload / send us a photo of the new mum and the ultrasound scan. We then place the scanned ultrasound into the tummy of the mum into a carefully crafted papercut that can be admired forever without the risk of damage that accompany standard ultrasound images. The Perfect Gift – Gifts for a new mum can range from practical to beautiful, but the Baby Ultrasound Scan Papercut accomplishes both of these in fantastic fashion. 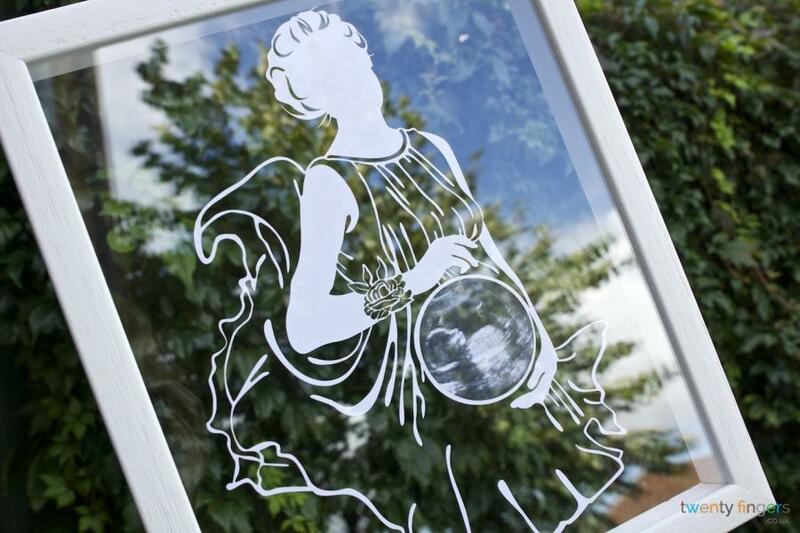 Keepsake – Many times keepsakes can become damaged, however all of our papercuts are wonderfully preserved and protected from damage by our handmade frames and specialised glass. 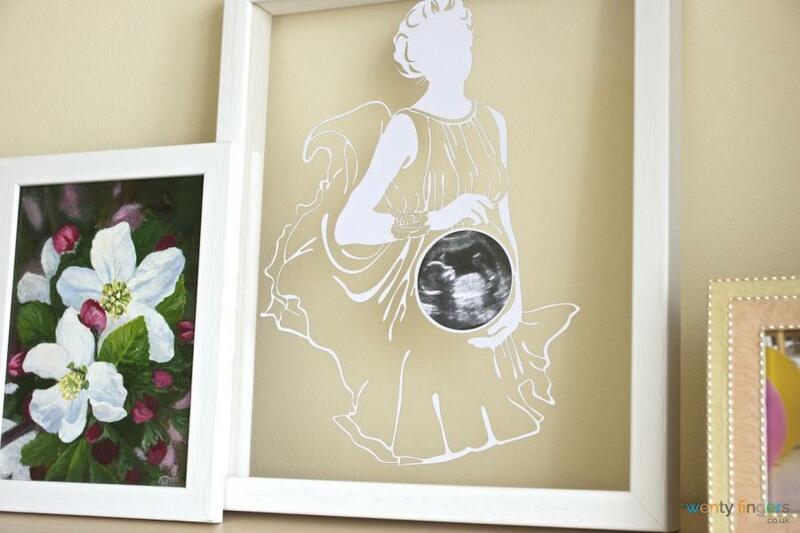 Conversation Piece – Beautiful pieces such as our Baby Ultrasound Scan Papercut make great additions to our home décor and evoke conversations among guests. 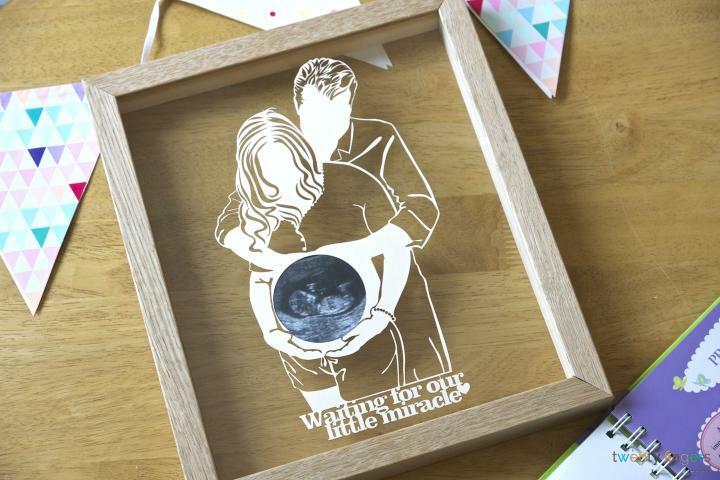 This papercut is sure to be a conversation starter from both the child in the ultrasound as well as every guest that walks in the door.